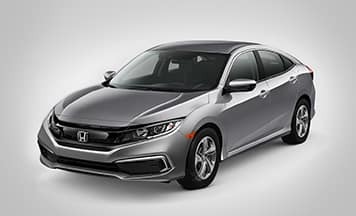 The 2019 Civic Sedan features aggressive lines and refined features that make the car stand out from the crowd. On the interior, the 2019 Civic may be the most comfortable and sophisticated interior we’ve ever designed. 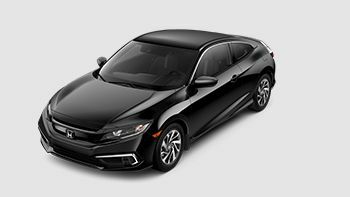 From the moment you walk up to Civic Coupe, the totally unexpected exterior design makes it obvious you’re in for a thrilling experience. 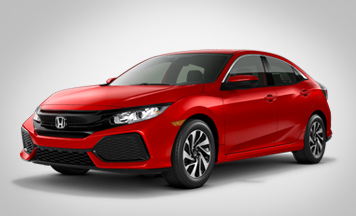 From the value-packed Civic LX to the fully-loaded Civic Touring – there’s a perfect Civic Coupe for everyone. How do you improve a car that’s an automotive icon? You take all the technology, performance and innovative thinking that made it a legend and add a healthy dose of style and great new thinking. 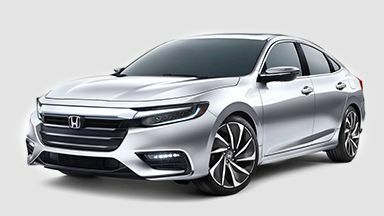 It’s more than a car: it’s a legacy, it’s the 2019 Honda Accord Sedan. When does a car become more than just a car? 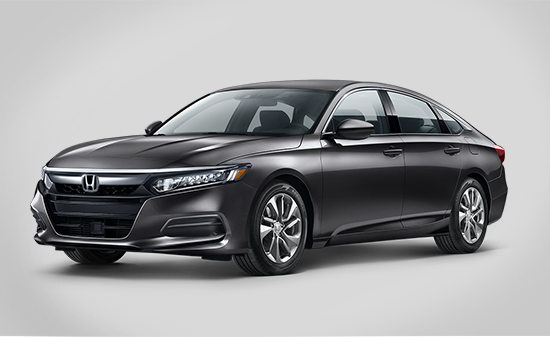 That question has inspired us from the beginning, and for over three decades, the Accord has been our answer. Now in its tenth generation, our signature vehicle continues to evolve with drivers and all of their humanity in mind. 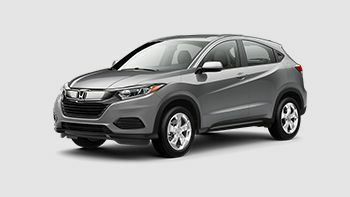 The all-new Honda HR-V subcompact SUV combines big-time cargo capacity and versatility with sporty performance and handling to create a new kind of vehicle designed to help you forge your own unique path. 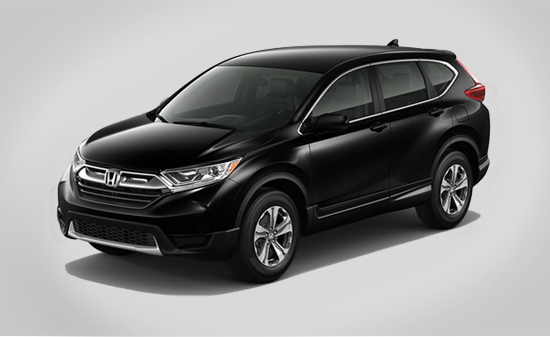 In a world filled with to-do lists, the CR-V is designed to adapt to your everyday needs. So whether you’re hauling sports gear, picking up groceries or taking your friends out for a spin, there’s plenty of room, and then some. The Honda Pilot is all about creating opportunities. To travel new places or revisit a favorite. To try something new or rediscover a fun pastime. And to do it all in a vehicle reimagined to make every journey both seemingly effortless and enjoyable. 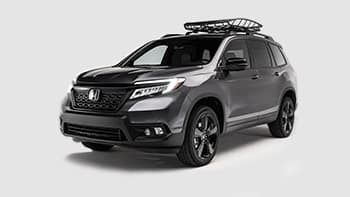 Slotting between the compact CR-V and three-row Pilot, the Honda Passport features reinforced unibody frame, powerful direct-injected i-VTEC® V6 engine, and fully independent suspension. Small on the outside, roomy on the inside and fierce under the hood. That’s the Honda Fit. It’s got space for practically everyone and anything, thanks to Honda’s Magic Seat system. And it’s packed with technology you’ll love. See why the Fit is a great fit for you. 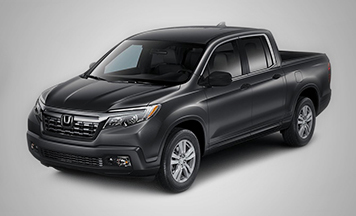 The Honda Ridgeline is an entirely new breed of truck compared to its debut in 2006. With a newly traditional shape, the Ridgeline fits right in with trucks like the Tacoma, Colorado, and Canyon. 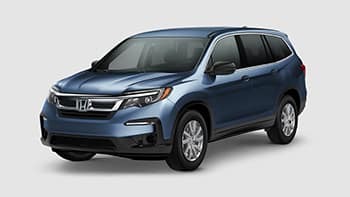 The 2019 Ridgeline is more fuel efficient, more tech-savvy and nicer to drive. 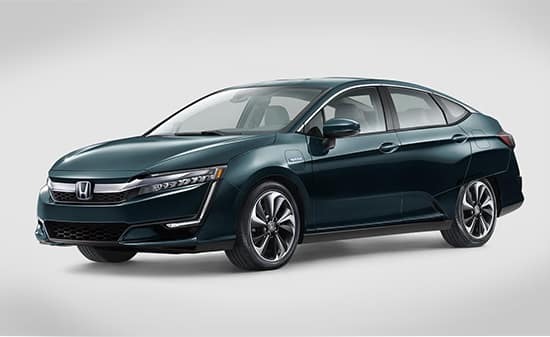 The 2019 Honda Clarity Plug-In Hybrid delivers the outstanding efficiency from a zero-emission vehicle along with the freedom and flexibility of a gasoline engine. Drive solely with electric power or use the gas-powered engine for longer trips. Offering sleek exterior styling and spacious interior design, the fuel-efficient Insight Hybrid delivers an impressive driving experience to take you further. 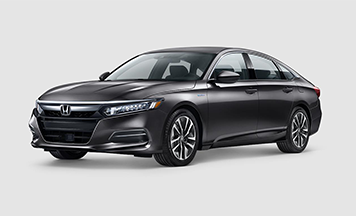 Thanks to an innovative two-motor hybrid system, the Insight delivers exciting acceleration without sacrificing on fuel economy. 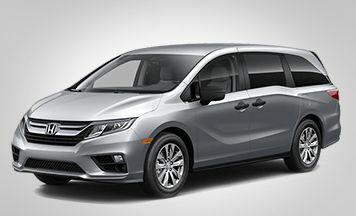 The Odyssey delivers groundbreaking technology and conveniences that keep your family connected and comfortable. Top it all off with sleek, modern styling, and you’ve got a minivan that really hits it home. *MSRP includes $820.00 destination charge but excludes tax, license, registration, and options. Dealer prices may vary. **MSRP includes $995.00 destination charge, but excludes tax, license, registration and options. Dealer prices may vary. 1† 28 city/ 40 highway/ 32 combined mpg rating for LX model with 6-speed manual transmission. 31 city/ 40 highway/ 34 combined mpg rating for LX & EX CVT Automatic models. 31 city/ 42 highway/ 35 combined mpg rating for EX-T model with 6-speed manual transmission. 32 city/ 42 highway/ 36 combined mpg rating for EX-T, EX-L and Touring CVT models. Based on 2018 EPA mileage ratings. Use for comparison purposes only. Your mileage will vary depending on how you drive and maintain your vehicle, driving conditions and other factors. 2† 28 city/39 highway/32 combined mpg rating for LX with 6-speed manual transmission. 30 city/39 highway/34 combined mpg rating for LX and LX-P CVT models. 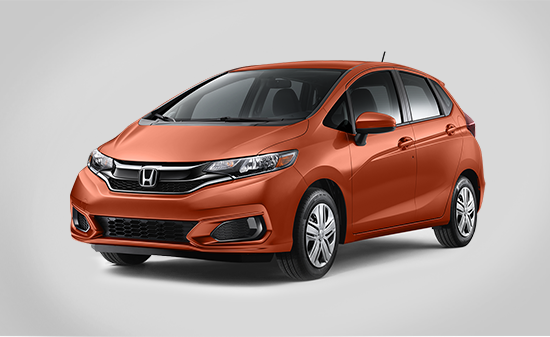 30 city/41 highway/35 combined mpg rating for EX-T model with 6-speed manual transmission. 31 city/40 highway/35 combined mpg rating for EX-T, EX-L and Touring CVT models. Based on 2018 EPA mileage ratings. Use for comparison purposes only. Your mileage will vary depending on how you drive and maintain your vehicle, driving conditions and other factors. 3† 29 city/38 highway/33 combined mpg rating for LX and Sport 6MT models. 31 city/40 highway/34 combined mpg rating for LX, EX and EX-L Navi CVT models. 30 city/36 highway/32 combined mpg rating for Sport and Sport Touring CVT models. Based on 2018 EPA mileage ratings. Use for comparison purposes only. Your mileage will vary depending on how you drive and maintain your vehicle, driving conditions and other factors. 4† 30 city / 38 highway / 33 combined mpg rating for 1.5T LX, EX and EX-L models with CVT. 26 city / 35 highway / 30 combined mpg rating for 1.5T Sport models with 6-speed manual transmission. 29 city / 35 highway / 31 combined mpg rating for 1.5T Sport and Touring models with CVT. Based on 2018 EPA mileage ratings. Use for comparison purposes only. Your mileage will vary depending on how you drive and maintain your vehicle, driving conditions and other factors. 5† 23 city/34 highway/27 combined mpg rating for 6MT models. 26 city/35 highway/30 combined mpg rating for CVT models. 18 city/28 highway/22 combined mpg rating for 6MT V-6 model. 21 city/32 highway/25 combined mpg rating for 6AT V-6 models. Based on 2016 EPA mileage ratings. Use for comparison purposes only. Your mileage will vary depending on how you drive and maintain your vehicle, driving conditions and other factors. 6† 49 city/47 highway/48 combined mpg rating. Based on 2015 EPA mileage ratings. Use for comparison purposes only. Your mileage will vary depending on driving conditions, how you drive and maintain your vehicle, battery-pack age/condition, and other factors. 7† 25 city/33 highway/28 combined mpg rating for 2WD 6-speed manual transmission models. 28 city/34 highway/31 combined mpg rating for 2WD CVT models. 27 city/31 highway/29 combined mpg rating for AWD CVT models. Based on 2018 EPA mileage ratings. Use for comparison purposes only. Your mileage will vary depending on how you drive and maintain your vehicle, driving conditions and other factors. 8† 26 city/33 highway/29 combined mpg rating for 2WD models. 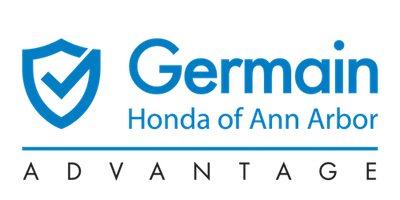 25 city/31 highway/27 combined mpg rating for AWD models. Based on 2016 EPA mileage ratings. Use for comparison purposes only. Your mileage will vary depending on how you drive and maintain your vehicle. 9† 19 city/28 highway/22 combined mpg rating for LX, EX, and EX-L models with 9-speed automatic transmission. 19 city/28 highway/22 combined mpg rating for Touring and Elite models with 10-speed automatic transmission. Based on 2019 EPA mileage ratings. Use for comparison purposes only. Your mileage will vary depending on how you drive and maintain your vehicle, driving conditions and other factors. 10† 19 city/ 27 highway/ 22 combined mpg rating for 2WD 6-speed automatic. 18 city/ 26 highway/ 21 combined mpg rating for AWD 6-speed automatic. 20 city/ 27 highway/ 23 combined mpg rating for 2WD 9-speed automatic. 19 city/ 26 highway/ 22 combined mpg rating for AWD 9-speed automatic. Based on 2017 EPA mileage ratings. Use for comparison purposes only. Your mileage will vary depending on how you drive and maintain your vehicle, driving conditions and other factors. 11† 29 City/36 highway/ 31 combined MPG rating for LX, Sport and EX 6MT models. 33 city/40 highway/36 combined MPG rating for LX CVT model. 31 city/36 highway/33 combined MPG rating for Sport CVT, EX CVT and EX-L models. Based on 2019 EPA mileage ratings. Use for comparison purposes only. Your mileage will vary depending on how you drive and maintain your vehicle, driving conditions and other factors. 12† 47-mile maximum EV mode driving range rating. 340-mile combined gas-electric driving range rating. Ratings determined by EPA. Use for comparison purposes only. Your driving range will vary depending on driving conditions, how you drive and maintain your vehicle, battery-pack age/condition and other factors. 13† 19 city/26 highway/22 combined mpg rating for 2WD models. 18 city/25 highway/21 combined mpg rating for AWD models. Use for comparison purposes only. Based on 2018 EPA mileage ratings. Your mileage will vary depending on how you drive and maintain your vehicle, driving conditions and other factors. 14† 55 city/49 highway/52 combined mpg rating for LX and EX trims. 51 city/45 highway/48 combined mpg rating for the Touring trim. Based on 2019 EPA ratings. Use for comparison purposes only. Your mileage will vary depending on driving conditions, how you drive and maintain your vehicle, battery-pack age/condition and other factors. 15† 20 city/25 highway/22 combined mpg rating for 2WD trims. 19 city/24 highway/21 combined mpg rating for AWD trims. Based on 2019 EPA mileage ratings. Use for comparison purposes only. Your mileage will vary depending on how you drive and maintain your vehicle, driving conditions and other factors.